A short mountain getaway near Manali. Bhrigu Lake is a high altitude glacial lake located at an elevation of around 14,000 feet in the upper Kullu valley, Himachal Pradesh, India. 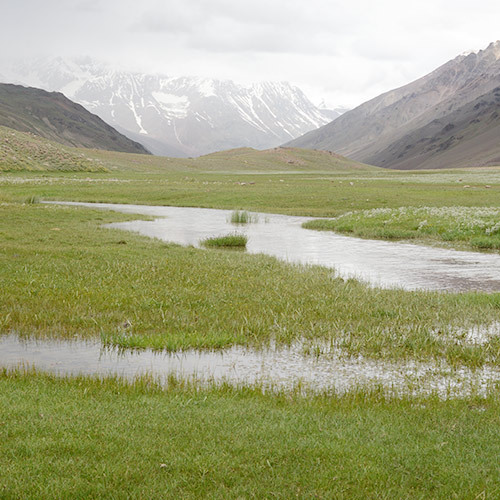 It lies to the east of the Rohtang Pass and is a short drive from Manali. This trek stands apart from all other high altitude lake treks because most other lakes at this elevation require days of trekking through difficult terrain to reach. 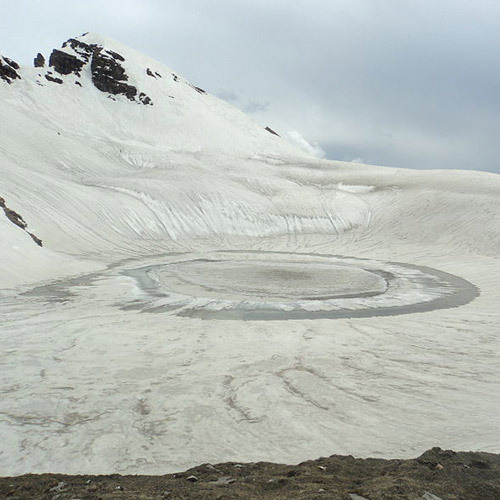 Legend has it that Maharishi Bhrigu used to meditate near the pristine lake and hence it has been rendered sacred. The locals believe that due to this, the lake never freezes over completely. This trek climbs from approximately 8000 feet to 14,000 feet. 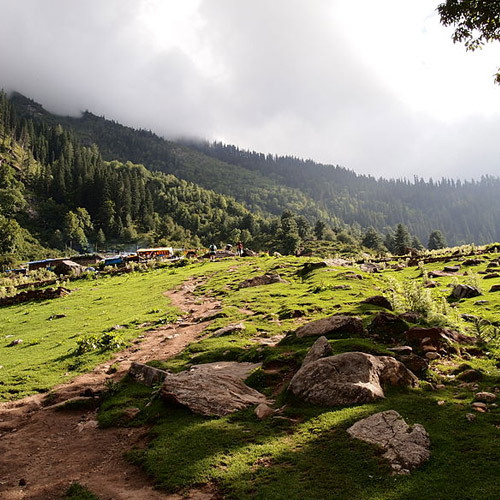 You’ll start in forests and orchards of Gulaba and will trek through gorgeous deodar and pine forests. You’ll see the snowy peaks of the Pir Panjal range, but as you climb higher, the landscape becomes more barren. As you trek, you’ll see the Seven Sister Peaks, Deo Tibba and Hanuman Tibba. 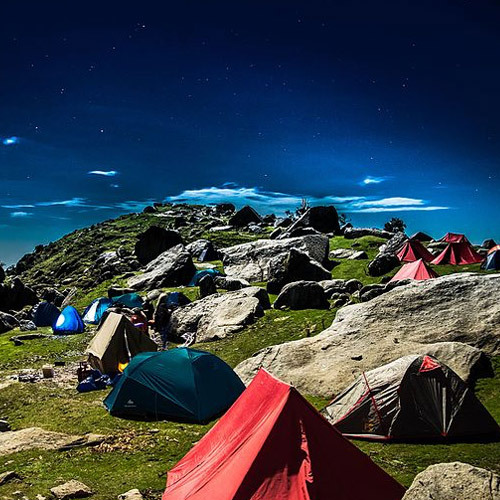 You’ll also be camping at the same altitude as Rohtang Pass, one of the highest motorable roads in the world. Total bragging rights! Many itineraries to Bhrigu lake include a stop at Vashisht hot sulphur spring on the way back. It is a welcome break for weary travellers and you can enjoy a dip in the hot water and relax. The best time to visit is in summer when the Bhrigu Lake temperature is around 20-25 degrees C in the daytime, and 5-7 degrees C at night. In winter, the temperature falls lower with 10-15 degrees C during the day and nearly 0-7 degrees C at night. 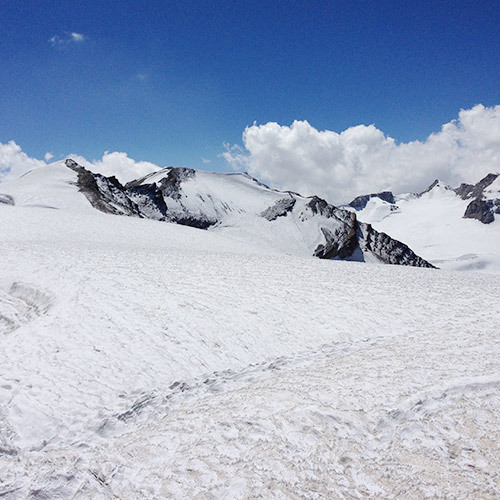 Many trekkers like to visit during the winter to experience a snow trek and to see the lake in its winter splendour. If you’re looking for treks in Himachal, don’t forget to check out Top 10 treks in Himachal Pradesh. 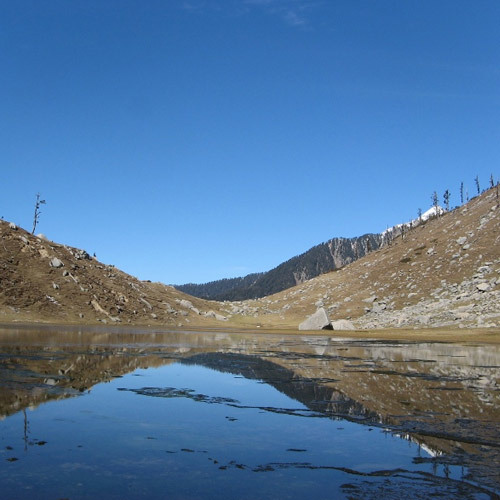 An easy to moderate trek, this 4-day trek takes you to the holy lake of Bhrigu. As legend has it, the ancient sage Bhrigu used to meditate on the banks of the lake, rendering its waters sacred. The route follows a scenic path through forests of oak, pine and cedar, and will give you plenty of great views. Every morning on this Bhrigu Lake trek begins with a yoga and meditation session so that you make the most of the spectacular views and the fresh mountain air. At nights, after a day of trekking, you'll enjoy a campfire and hot soup, followed by dinner. At night, you'll sleep in tents, with the sounds of nature outside. Personal expenses such as extra meals, soft drinks, tips, telephone calls, etc. Additional costs due to unforeseen circumstances such as road blocks, landslides, political unrest, natural calamities, etc. Himachal Pradesh offers many scenic treks, and the Bhrigu Lake trek is easily one of the most picturesque in that bouquet. 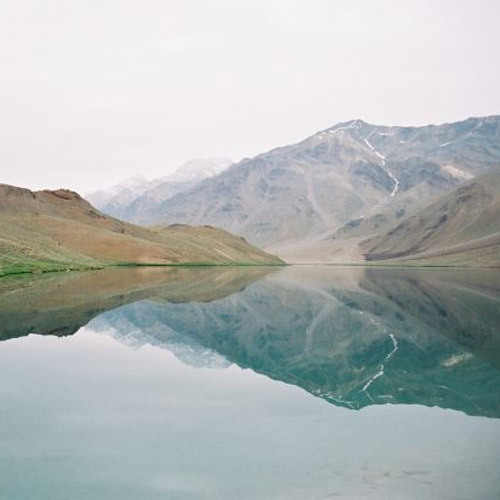 Legend has it that Maharishi Bhrigu used to meditate near the lake. This 3-day, easy to moderate trek to Bhrigu Lake is open all year and is set in idyllic surroundings - making it perfect for first timers and families alike. Ideal for a quick getaway, this 3-day Bhrigu Lake trek has nothing but good things in store for you. It's a moderately challenging adventure in the Himalayas, perfect for newbies or participants with past experience looking for fun trek. You will traverse mixed forest of oak and pine and find commanding views of snow-capped Himalayan peaks and Hampta valley at every turn. 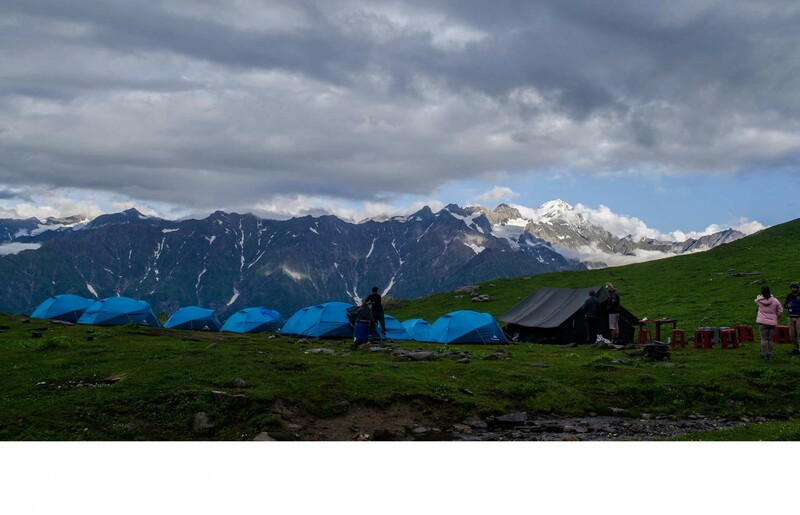 Nature buffs will love the campsite set on the pristine banks of Bhrigu lake, with its calm environs and scenic vistas. The trek also offers a chance to visit the famous hot water springs in the Vashisht village. Embark on this trek to Bhrigu lake. 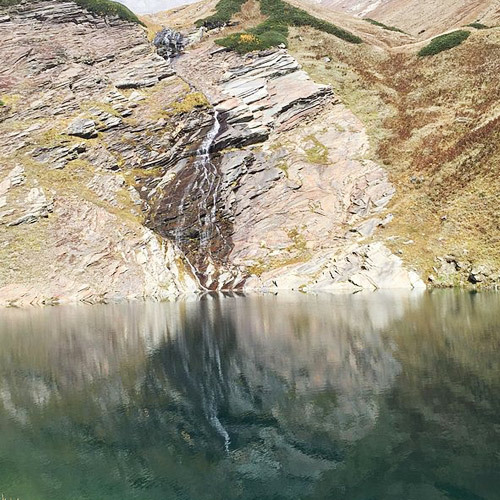 The famous sage Bhrigu is said to have visited this lake to meditate, and when you visit, you'll see why. The lake is surrounded by snowy peaks and fed by glaciers, and all you'll hear here is the rippling of the cool, clear water and the occasional mountain bird flying by. This trek to Bhrigu Lake takes you through alpine forests and green meadows. En route, you'll get views of the Deo Tibba and Hanuman Tibba peaks, as well as the beautiful Seven Sister peaks. And at the end of your 3 day adventure, you’ll also get a chance to experience the famous hot sulphur springs at Vashisht. If you are looking to spend a weekend get away from the city madness, the Bhrigu Lake trek is the ideal one for you. You'll only have a short trek to take you away into the mountains, where you'll walk amidst tall pine trees, trek across high altitude alpine meadows, and through narrow forest trails. At the end, you'll come to the pretty lake, tucked away in a depression in the ground. 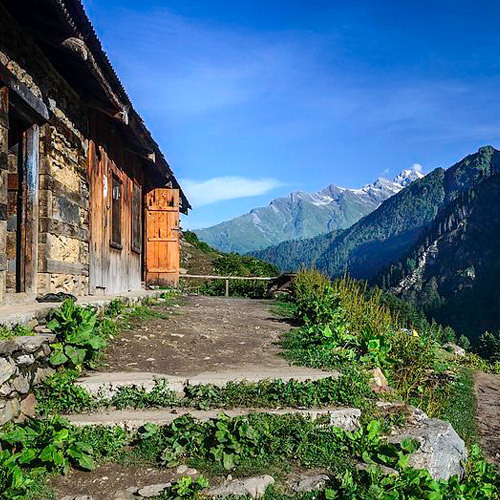 On your climb, you'll see some spectacular views of peaks like Hanuman Tibba, and you'll spend the evening around a bonfire, enjoying the fresh mountain air. Can a beginner do the Bhrigu Lake trek? The Bhrigu Lake trek goes from 8000 feet to 14,000 feet, which means you’ll have some fairly steep sections to negotiate. In the summer, it is a moderately challenging trek, but it gets a little more difficult in the winter. Fit beginners will be able to complete the trek, but if you have any health problems, it might not be the right choice for you. You should check out our blog on Easy Snow Treks for Beginners if you want to see your options. When is the best time to go for the Bhrigu Lake trek? The Bhrigu Lake trek is most popular in summer, when the weather is pleasant and the landscapes are green and lovely. However, it is also becoming a popular snow trek, as it takes you to a considerable elevation of over 14,000 feet, where you can enjoy the thick pristine snowfall. What should I carry for the Bhrigu Lake trek? Your operator will provide you with a full list of equipment that you need to carry. Make sure you have thermals, warm layers, woollen hat and scarf, and waterproof gloves. You’ll also need sunscreen and thick moisturiser. When you pack, do ensure you carry a rain cover for your backpack and your day pack.